A lot of recipes call for canned pumpkin, but you will find recipes that call for fresh pumpkin. You can also replace canned pumpkin for fresh even if a recipe calls for canned. Pumpkins are easy to handle and cook once you know how. Here are some methods that I've found helpful. A lot of these are tips that have been passed on to me from friends and family. 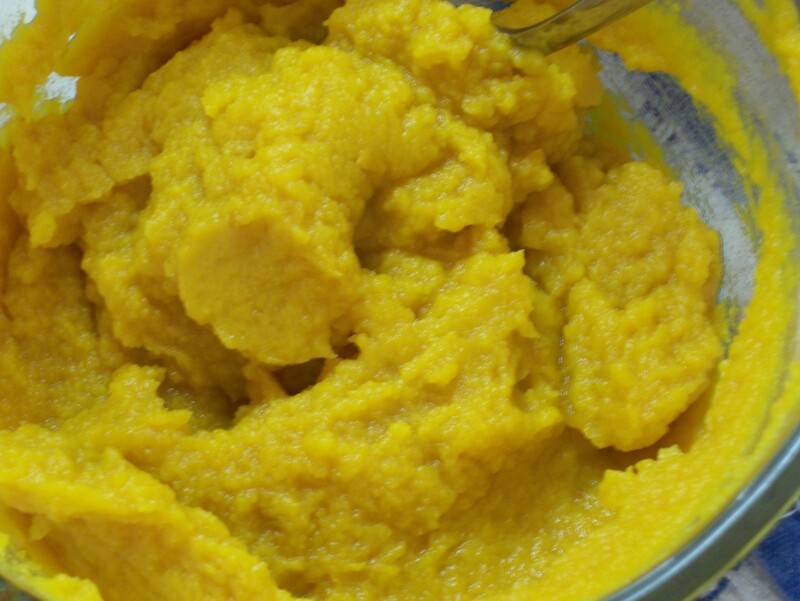 Once the pumpkin is cooked, simply use a food processor or blender to whip it into a puree. 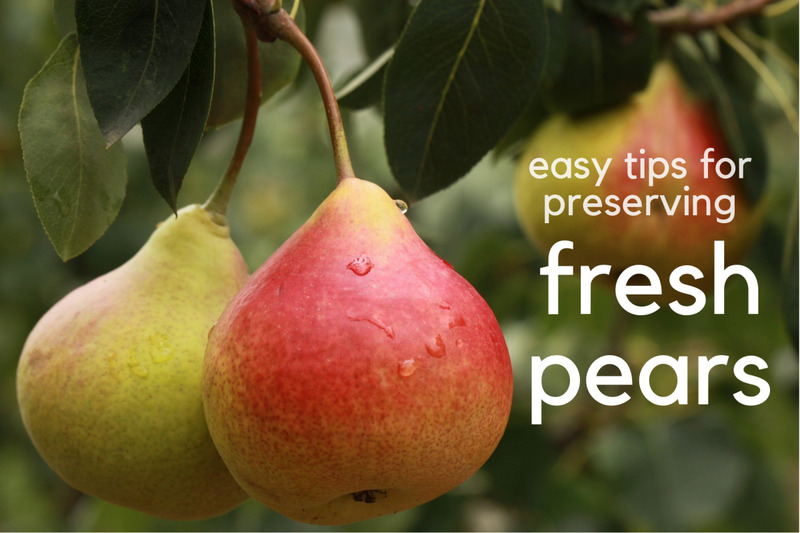 You can store unused portions of the puree in the refrigerator or freeze in ziplock bags until you are ready to use it. If you compare the fresh version to the canned (sight, smell, and taste), you will definitely choose fresh every time. When it is so easy to make, why wouldn't you? 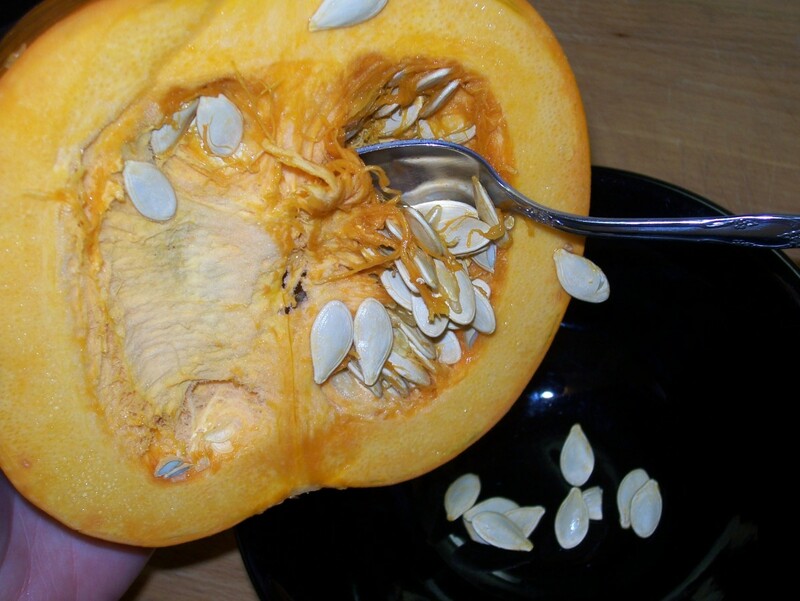 Cut pumpkin open and scoop out the seeds. 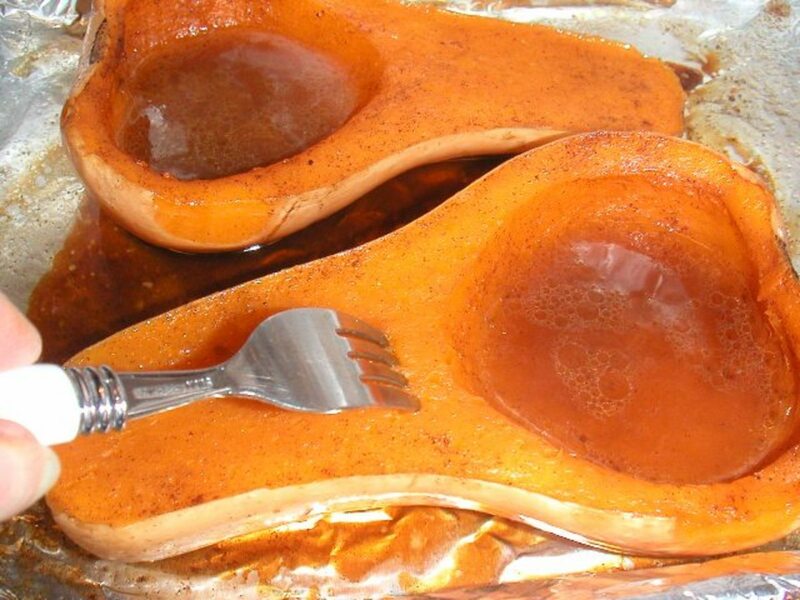 Place pumpkin halves facedown in a baking dish. Add 1/2" of water to pan (this helps keep the pumpkin flesh moist). Bake at 450º until you can pierce the skin with a fork (about 45 minutes to an hour). Scoop flesh out of shell with a spoon. First of all, pick your pumpkin! Use a sawing motion to carefully cut your pumpkin in half. Scoop out the pulpy strands and seeds (save the seeds for a baked snack). I find using a metal spoon to scrape the insides helps remove a lot of the stringy pieces. Place the two halves, face down, in a baking dish. Fill dish with 1/2" of water. After it has baked and the pumpkin is tender, remove from oven. Separate the pumpkin flesh from the skin. Look at those beautiful pumpkin chunks. I use a hand wand to puree, but you can use a regular blender or food processor. Blend the pumpkin until it is creamy. Use your fresh pumpkin puree in all of your pumpkin recipes. 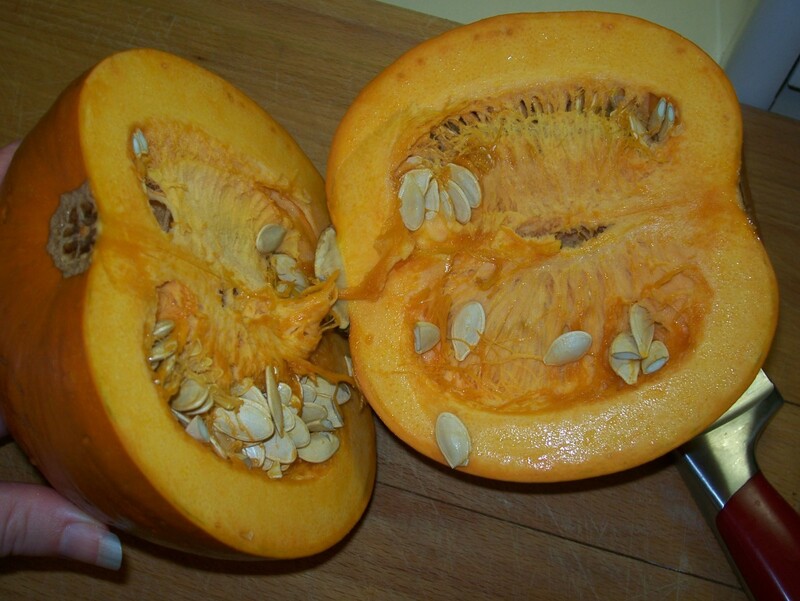 Cut pumpkin in half and scoop out the seeds. Cut the pumpkin into large chunks (so it will fit in microwave), leaving skin on. 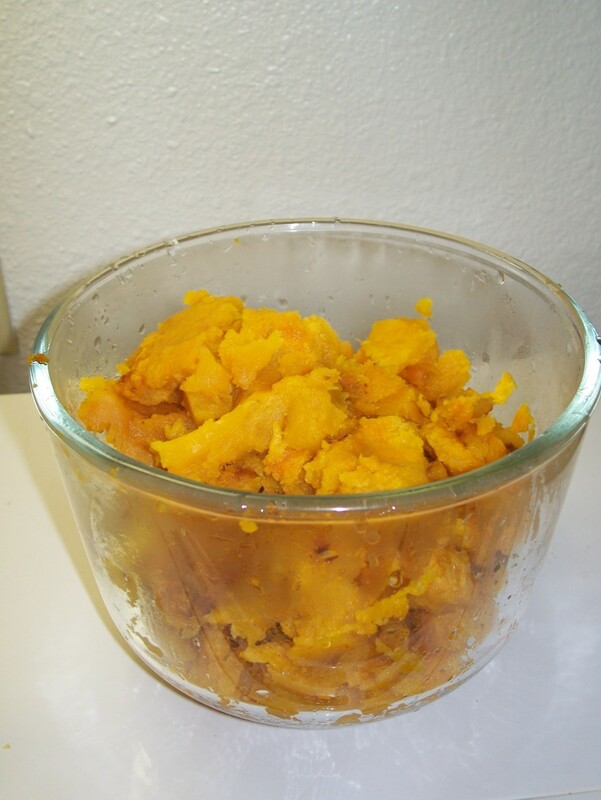 Place pumpkin chunks in a shallow, microwave-safe dish with a lid (or cover with plastic wrap). Spray the cut pumpkin surfaces with cooking spray, and cover. Cook on high for 15 minutes, or until tender (feels soft and cooked). Alternately, you can add water to the dish, eliminating the spray, to keep the pumpkin from drying out. Cut pumpkin in half, scooping out the seeds. Then, cut pumpkin into large chunks, but leave the skin on. 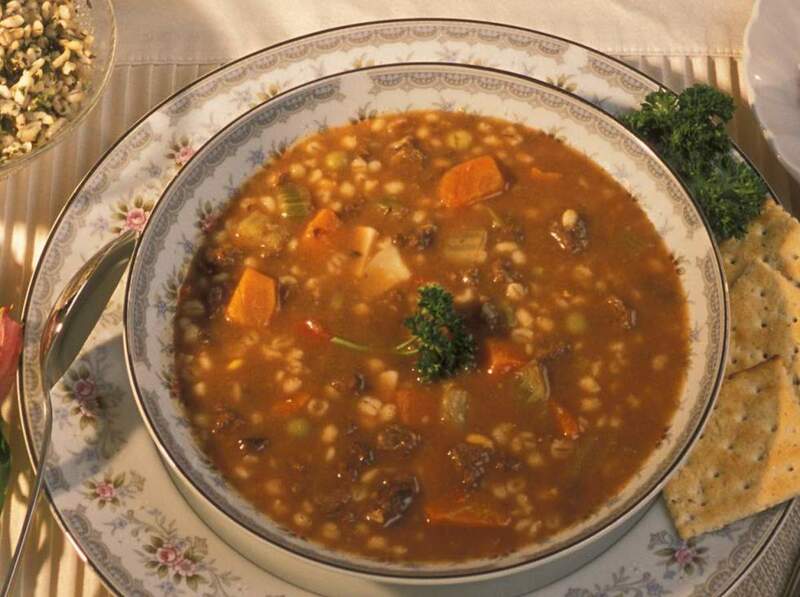 Place chunks in a large steamer basket (or a colander placed inside a dutch oven with water on the bottom). Steam for 20 minutes, or until pumpkin is tender. Okay, so I carved my first pumpkin in over 23 years. Great! The last time I did, I never saw how my grandmother turned our pumpkin meat into the puree. I see everyone is telling me to roast in the oven with the shell. I threw out the shell after and now all I have is the meat. So instead of the shell, would foil over the pumpkin work? I only have half the meat left because I tried using another recipe and it turned out she was using canned and now its mush! I have not made this, yet. I´ll try soon. Thank you for sharing how to do it. Happy weekend! there are many many pumpkins you can use to make pumpkin recipes with including:Fairytale, New England cheese, long necks or crookneck, sugar pumpkin, peanut pumpkin/squash, banana squash, just to name a few - fairytale is the darkest and richest pumpkin and looks great when cooked in anything and especially in pies and pumpkin roll and is generally sweeter in taste in anything you make. I have been freezing fresh pumpkin for 40 years and it doesn't get any better than a FRESH pumpkin dessert! Hi your pumpkin recipe looks yummy and I'm going to make Pumpkin Cheesecake right now thx!!! Great recipe...my mom in the late 40's baked our fresh punkins, that's the only way to eat it and if you want put a little sugar on top of the half's or quarters. After I purée in processor I put the pumpkin purée in a very fine gauge strainer until it is nice and thick (a lot of liquid comes off) I like the purée thick - like it is in canned pumpkin. I freeze in 2 cup portions and use the pin hole trick while the purée defrosts. I like my purée very thick and my grandchildren love the pies and breads. Been doing it like this for 18 years. And the pies have great flavor. I have pumpkins that are larger than that? Will this still work to cook them? Fantastic information on your site! I am a grandmother and have two whole pumpkins which I didn't want to waste so I'll be cooking them up and baking with the pumpkin puree very soon. Thanks so much!! @Stacie Naczelnik, Thanks for the great instructions. @roybambi, yes you can can your pumpkin. The acidity level is what determines if you can use a water bath or a pressure canner. Go to National Center for Home Food Preservation, it tells how to do it safely. @Laura, Please do not tell people that it is safe to put hot pumpkin in a jar, put on hot lids and when the seal goes down it is done. It is not safe. You also should go to National Center for Food Preservation. Please, canning is wonderful, but lets do it safely. I've prepared fresh pumpkin for many years, initially in the oven, but now in the crockpot. Either way the cooked pumpkin has more liquid than the canned product. After removing the skin, I mash and run thru the blender, then back into the UNCOVERED crockpot to cook off the excess liquid. Then freeze in 2-cup containers. I've noticed that the liquid that separates after thawing is oily, so I try to keep it. If the thawed pumpkin seems to watery for the recipe, I add a little flour. @JM: Yes, you can! After I bake two or three medium-sized pumpkins, I freeze most of it and use it throughout the spring, as desired. Fresh pumpkin muffins in the spring are a tasty treat!! Can you freeze the pumpkin? I canned pumpkin years ago, won 1st place at state fair, now I'm seeing "dont can due to not enough acid" I'm confused, it worked for me before, any reason I shouldn't do it again? Great idea! I usually just cook the seeds and carve the pumpkin then throw it out. I have 2 pumpkins I'm breaking down for soup and a cheesecake. Thanks. You can also can your pumpkin puree rather than freeze it, if you would like it to last longer. Last night I found a jar in my cold room that was 2 1/2 years old and it was perfect- I made a pumpkin loaf. All you need to do is prepare hot sterilized jars (boil for 5 minutes in hot water) with their seal and pour the hot puree (you will have to heat the pumpkin again once you have pureed it) into the sterilized jars, place a seal on it and screw a band around the top. Once the puree and jar begin to cool the seal will be sucked down (vacuumed sealed) and you are good to go. I started out with a small-ish pumpkin for decorating, then thought: I could cook it for pumpkin pie. It turned out delicious. Then at the local farmer's market, the vendor turned me on to the sugar pumpkin and they make the best pies. I will never use canned pumpkin again. Now do you know when a pumkin is ripe? I did this for the first time MANY years ago for my then boyfriend who loved pumpkin bars, & I used a regular Jack O Lantern pumpkin & it was fantastic. At the time I don't think I knew there was a difference in what pumpkins to use, so I used what we had. The bars were yummy! Plus I froze the leftovers for later. I just cooked my first pumpkin and it is really stringy?! How do I get it like smooth pumpkin you buy in a can? This is soooooo awesome! I just googled cooking pumpkins and here I am, back home at one of my favorite places hubpages. Maybe next time I can learn my lesson and just search directly on hubpages. Fantabulous article, just what I was looking for! Thanks so much for the detailed pictures. I just baked my first long-neck pumpkin, the type the locals in Lancaster, PA swear by. It was very easy. Now I'm going to bake pies. Happy Thanksgiving! I know that jack-o-lantern pumpkins aren't as sweet, but you get more seeds to cook up if you use them! To me, adding the extra sugar (use about 25% more than the recipe calls for) is worth it so I can make pumpkin seeds. I bake my pumpkin and my butternut squash this way. I use either one for making pie, bars, cake, & casseroles. I freeze 2 cups at a time for later use. The butternut squash was fantastic this year. We got 80+ squash from 3 plants!! Steaming pumpkin now but wished I had done it in the oven earlier after baking bread. Fresh is really tastier. I've been cooking my own pumpkin for years. I cut it in half and scoop out the seeds. Then peel it and cut into small chunks. In a pot on the stove I put the chunks and 1/2 cup of water, then spinkle some cinn. on the top and slowly cook. Keep mixing so it doesn't stick. when its almost cooked use a potato masher and mash it till smooth. Then put in a stainer to drain. Use in recipe or I put in freezer bags and freeze. I like it like applesause consistancy because the pies have more texure than just puree. Everyone loves my pies. p.s. I use my holloween pumpkins and when you add the spices they are just as good. was born a farmer and have grown many pumpkins (under the corn to keep down the weeds). The large Jack-O-Lantern pumpkins are known as "Cow Pumpkins" because they were fed to the cows in the early winter, often seen on Christmas cards in front of barns. They have yellow pulp and are very stringy (the cows love them, but are best used as animal feed). The pie pumpkins are much smaller and have orange pulp and much smoother. 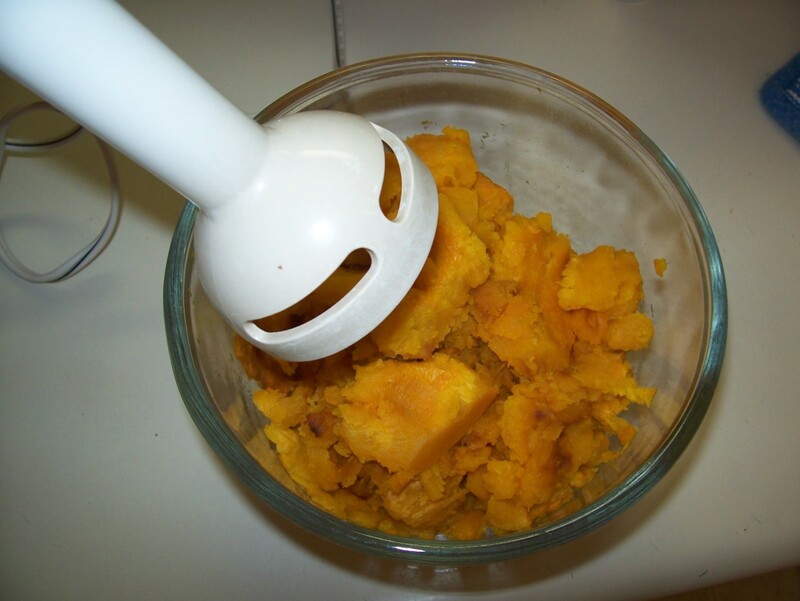 We run the cooked pumpkins through a screw type food strainer for the smoothest pulp. Pie pumpkins make a much better pie than cow pumpkins, you will find the cow pumpkin grainy and needing a lot of spices to help its weak flavor. 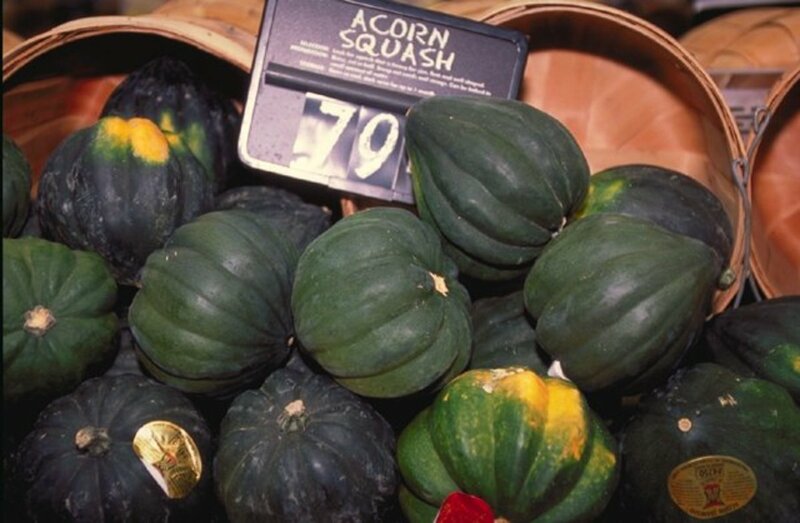 Squash can be used for pumpkin pie but has a distinct non-pumpkin taste (better to use a good smooth high quality squash than a cow pumpkin); but it is a good substitute if enough brown sugar, and spices are used (the commercial pumpkin in the can is more of a squash and is not a pie pumpkin). The reason for using smaller pumpkins is that they're less stringy. The pie pumpkins are less stringy and actually produce a sweeter meat. However, by the time you've added all the spices, sugar, etc. it's hard to tell if you've spent the extra money on the pie pumpkin or used a big jack-o-lantern pumpkin. 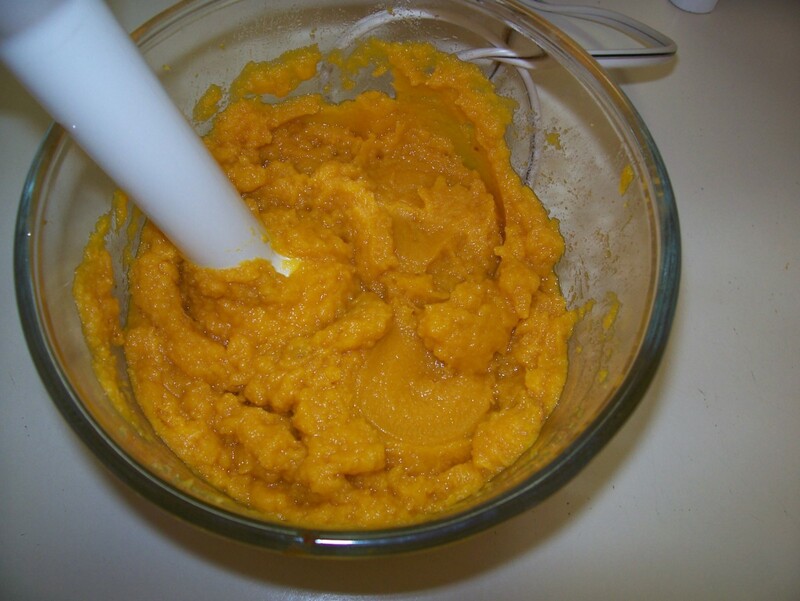 (of course, this assumes you have really pureed pumpkin meat on both--applesauce consistency) I usually put my baked pumpkin through my kitchen aid mixer with the puree attachment. Works great, super fast, easy and wonderful results all the time! I just boiled a cut-up pumpkin in a large pan with about 2 inches of water in it. I think I may have overcooked it because it seems real mushy. I've got it draining in the refrigerator overnight. But I'm wondering if I should throw it out, or if you think it would still be good for pies, breads, and/or stews. I just used your oven method and it worked wonderfully! I will never cook pumpkin another way! Thanks for the tips. I make a really good pumpkin soup that my friends love for me to make. I usually use canned pumpkin. 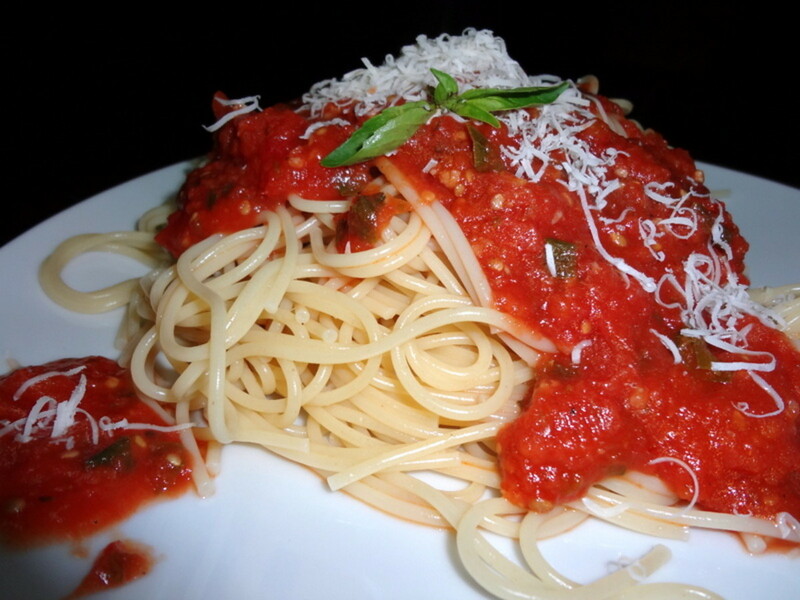 I am going to try making it from fresh (which is always my preference any way). Can't wait to see how this turns out. I'm going to try the oven method and the stop top method since I have so much and it all wont fit in the oven. Wish me luck! I steamed the pumpkins and now I can't wait to use it! First up pumpkin cheesecake. Option # 4!!! CrOcKpOt!! The crockpot is the most energy efficient way to cook your pumpkin. Just prepare it the same way as above, leave skin on...cook on low for 3 hours or so, check it and cook until the skin is tender. Remove skins, puree, and use or freeze! Yummy! I just cut up my first pumpkin of the year! It turned out great and I'm ready to cook it. My post on Fall Pumpkin Recipes features 10 tried and true recipes (both savory and sweet) for using pumpkin! TT- it is supposed to be more like applesauce and less like canned pumpkin- you didn't do anything wrong. That is why there are hints for getting rid of some of the moisture- the one with the pinhole in the baggie of frozen puree, straining in cheesecloth, etc. I do one extra step before freezing if it is for pie. I add a little salt (just 1/2 tsp.) and a little sugar (1 tsp.) and I slowly cook it down for about 1/2 hr. This is for two small sugar pumpkins, about 6 cups of puree. Stir frequently to avoid burning. Let cool completely, then bag and freeze or use. another tip for finding a nice pumpkin to eat is to look at the bottom of the pumpkin at the ring. generaly speaking the bigger the ring the sweeter the pumpkin is. THANK YOU!! My mom's suggestion was to scoop out the seeds AND the flesh through the top of the pumpkin. This is WAY easier and faster and not so hard on the wrists! When living in the US, I always used canned pumpkins when baking muffins or pumpkin bread, but now that we are back in Europe, it's impossible to find canned pumpkin. I was so relieved to find an easy recipe to make my own "pumpkin meat" to use for these recipes.... thanks a lot. I baked it last night ans will puree it tomorrow - Can I add water to it while doing so - I think it might be a bit dry otherwise? I was wondering if any one could tell me why or what i did wrong that when i blended the pumpkin it like applesauce? This is the first time in my life that i cooked fresh pumpkin.I did every step in order. The absolute EASIEST way to cook pumpkin has to be, cut it in half, clean out the stringy core and the seeds, cut the outer shell into quarters and pop into the CROCK POT with half a cup of water. Let it slow cook for 4-6 hours. Pay no attention to it. 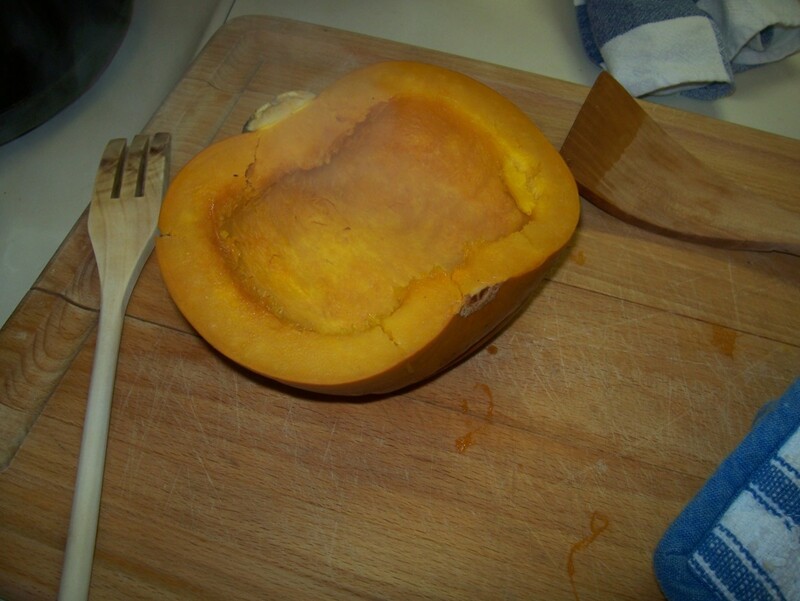 When it is done cooking, the rind will easily come off the soft pumpkin. Stick it in your blender (without the rind/shell) and puree it. So very simple!!! I love oven baked pumpkin as it is not watet- logged like when its staemed or boiled. We accidently grew a ton of pumpkins in our garden from seeds that sprouted from our compost - but they were ready in July. I am going to try to bake some of them so I can make pumpkin pie and try to freeze some of the mush for the fall. Thanks for the ideas. Your recipe has me thinking... pumpkin. The oven cooking is extremely easy! It worked great. Thx a lot for teh tip, and yes your photo instructions are the best! I have a white colored pumpkin is it good for baking or making soup? 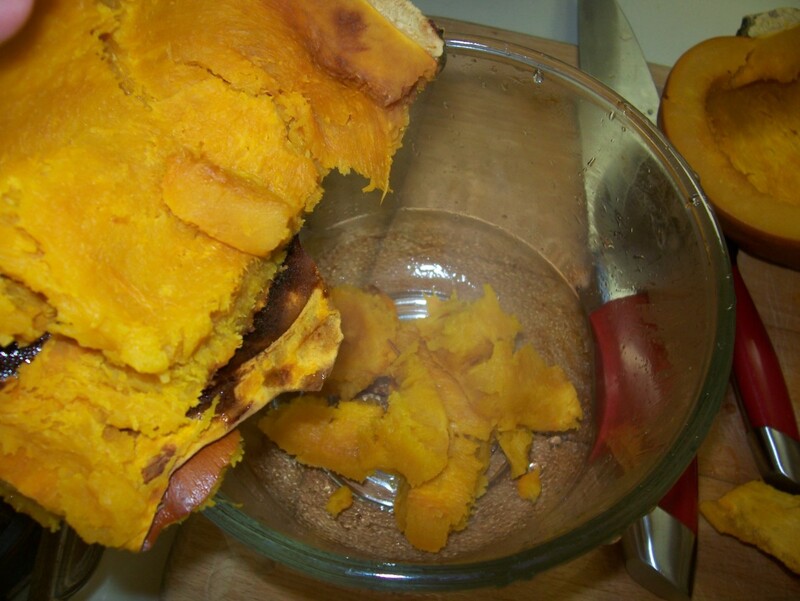 I love using fresh pumpkin, but when I have cooked it, sometimes comes out striny. Am I not cooking it long enough? Does elevatin have anything to do with it? This is a lovely site and just what I was looking for to cook the two pumpkins that I grew this year ~ had hoped for more but will move the site next year. I have read several cookbooks but found none so enlightening as these instructions. Thanks very much! Bigger pumpkins I have found to have stringy flesh; so puree is definitly called for when cooking. Also, I have always cut my pumpkins into chunks when baking; this year I'll give the 'half n half' a shot. Happy Thanksgiving all. I have always cooked fresh pumpkins. Even the kind for jack o lanterns. I place the COOKED pureed pumpkin in freezer baggies. (2 cups per baggy) Cooked pumpkin can be frozen up to 16 months or canned. WE have 2 large pumpkins that I got from a local pumpkin patch. I had planned on carving them into jack-o-lanterns, but the week of Halloween was just too busy. So, I thought since I have them, I could cook them! I've never done it before. What I don't understand is why only the smaller ones are for cooking? Can I cook my bigger pumpkins? Yum! I've never made anything with real, fresh pumpkin before but now I think I will. We have roasted pumpkin seeds before though - a good snack, especially around Halloween. My mom has a great trick for the frozen puree. Often times it is a bit more watery than the puree from a can which can effect the consistancy of what ever pumpkin delight you are preparing. She used to freeze the puree in ziplock freezer bags. While defrosting the bags she would cut the tiniest corner off the bag (we're talking a tiny pinhole here)and let that corner hang over the sink. Either in the freezing process or defrosting process (maybe both?) much of the water gets seperated from the puree and will run out the small hole in the corner of the bag while thawing. Remember not to cut the whole till thawing time. This will help firm up the puree without an hour(s) of simmering. Hope this is helpful, now where do i get those recipes for pumpkin soup, raviolis, pumpkin bars, cheescake, risotto, pasta etc..? I have been baking pumpkins for several years now and I use the large jack pumpkins (the carving type) and they have always turned out great. Microwave Pumpkin Pie, I'm in heaven now. Kristie, you don't use the inside filling from the pumpkin...you use the outer part...the shell of the pumpkin....you cook it down until it is soft, peel off the skin and puree it. then it can be used in place of canned pumpkin in recipes. I always make pumpkin bars with cream cheese frosting. I carved my Halloween pumpkins last night - the pumpkins are now at the front door and the filling is in the fridge - how long can I keep it the fridge, and how do I cook it so that I can make it into a pumpkin pie tomorrow or the day after..? Can it stay in the fridge for a couple days or should I cook it first, and then keep it in the fridge..? Pumpkin soup, pumpkin bread, pumpkin pie are standards, and a cook more skilled than I am could try something like pumpkin ravioli. Pumpkin soup is my favorite, especially with cumin and coriander in it. Just start looking up recipes. The only time I've ever tried cooking with fresh pumpkin I boiled it in chunks and it was a disaster. I hated it and swore never to do it again. 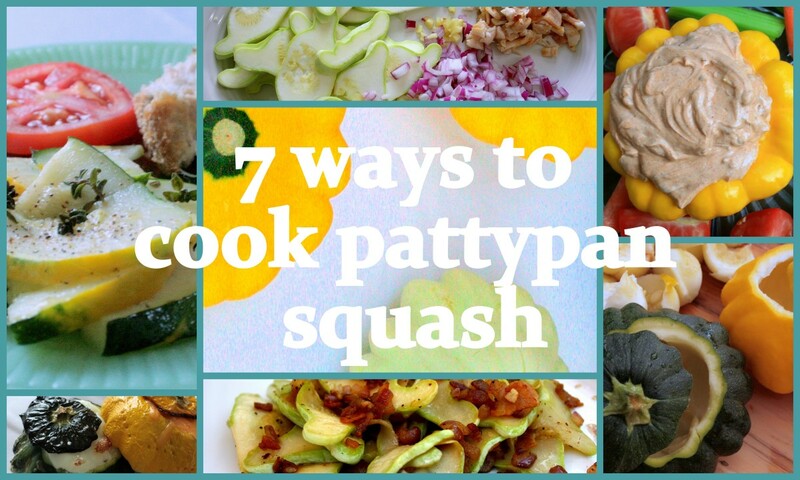 But I bake squash all the time! I have two pumpkins in the oven right now. Wish me luck! I've done option #3 for many years, but option #1 sounds so much easier! Great tip! Never cooked pumpkin but can't wait to try now I've read this hub. Thank you. 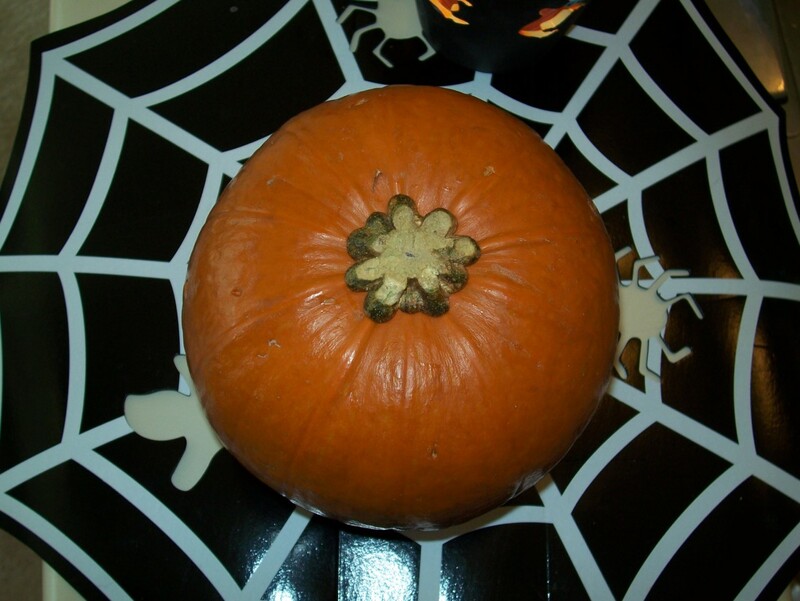 Prepare pumpkin as for carving, hollowing out seeds and place top back on. Pierce a few steam release holes in sides & bake at 350 until sides begin to cave in and forks for doneness. Cool slightly; remove skin and puree in blender. Put in freezer bags in 1-1/2Cup amts. & the job is done. That is how I am doing it right now and have for many years. Hi, I'm from South Africa and for us it is always strange that people are not completely aware of all the wonders of pumpkin. For us, fresh pumpkin is almost a staple. We mostly eat it as a sweet dish with our customary meat, rice, potatoes and green bean "stew," I suppose that is what you will call our way of cooking grean beans. Loved your Hub! Question - I read earlier that you cannot use jack-o-lantern pumpkins - we grew pumpkins in our sad little garden and luckily (unlike everything else) we had one pumpkin - we cannot remember what kind it is, but it is about 8-10 inches tall and round... how can I tell if this is a pumpking okay to use for baking? Thanks! I admit that I've never used fresh pumpkins. Always wanted to try it, but was a little nervous. I'll take your tips here and actually give it a try. Lorine, if baking it at a lower temp work for you, then that is great. Perhaps you bake smaller pumpkins? Also, you cover yours, so it isn't necessary to cook yours skin up. However, if you do not cover it, it is better to cook it skin up. Ive always cooked my pumpkin at a lower temp of 350F for about an hour, cut in large chunks, skin down covered with foil in a glass dish with about 1/3 inch water in the bottom with good results. So after reading you cook yours skin up, I was wondering if there is a reason for cooking the pumpkin so hot, and skin up as opposed to skin down? How do you know if a pumpkin can be cooked? I am reading about pie pumpkins-I bought some a little bigger at a benefit auction and put them in front of my house and am wondering if they would be good cooked. Any hints to figure out if it is a cooking pumpkin? I have read a few other sites and I have learned that baking with the skin on produces a much better flavor; however, your instructions have been the easiest to follow. Thank you so much for the precise instructions and pictures. Over the past few years, I have always cubbed and boiled my pumpkins. It is time consuming and messy (especially draining the water logged meat). I am excited to say that I will be baking my first pumpkin this year. thanks for the instutions i've been looking for instructions all day i hope it works for me! I like to use my cheese slicer to peel the pumpkin first. But it sounds easier to cook it first! Thanks for the excellent tips -- I'm baking pumpkins like crazy today and accidentally discovered that leaving them in 5-10 minutes past their &quot;done&quot; time results in the skin blistering a bit. This allows you to peel the skin off quickly and easily without scooping out the insides. It speeds up the process and results in perfectly done pumpkin. Oh my goodness. 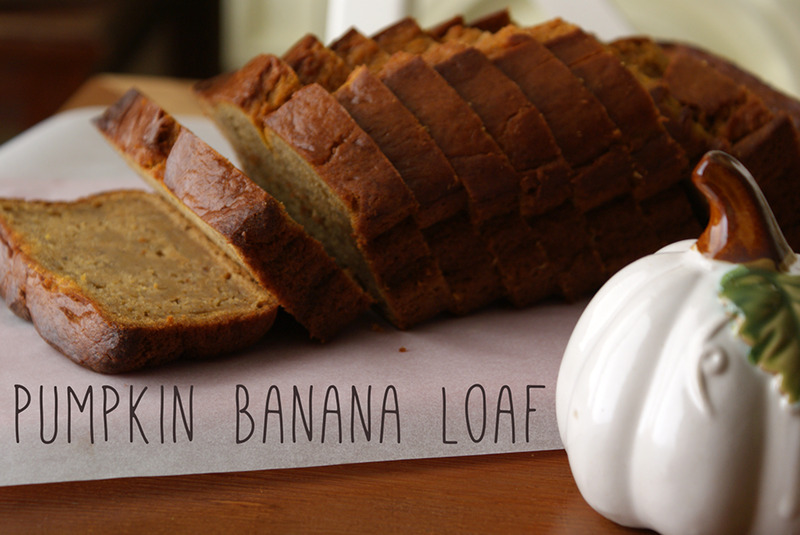 I'm obsessed with pumpkin recipes so I am favoriting you right now. I make some delicious pumpkin pasta, and I'll be posting the recipe soon enough. I know pumpkins are usually used for dessert-y dishes, but they are really delicious in dinners too- like soup, risotto, and pasta (believe it or not!). Yum! I'm hungry now. Cook as is. When you use it in recipes, the recipe often calls for spices. do you add anything to the pumpkin puree? or just cook as is? 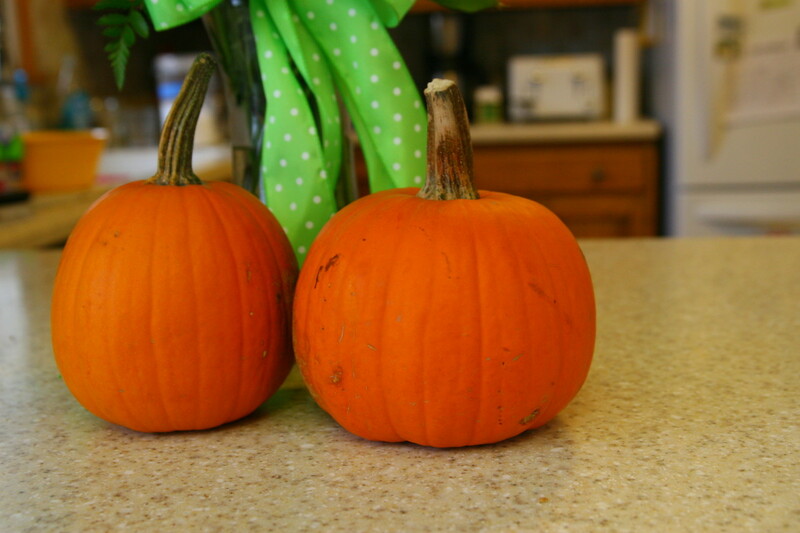 Generally, the pumpkins you buy for decoration or jackolanterns are not for cooking. Sugar pumpkins, and other pumpkins typically sold in the produce area of your grocery store are for cooking. I've never done it, but I know people who have successfully cooked white and yellow pumpkins. My Pumpkin is hudge - are all pumpkins good for cooking? Your instructions were the best yet! I have my pumpkin in the oven now! Can't wait to make my pumpkin cheesecake!! Happy Thanksgiving to all! It stays good, in the fridge, for about 5 days. How long does it last once it is cooked? I would like to cook em up tomorrow but wait until Tuesday to use em. This sounds good I will try it and let you know. Thank you for this hub! It's hard to find info about cooking fresh pumpkin. I did it once and it worked out great. The next year something went wrong and it was too watery! I'll try to follow your instructions this year. THANKS. I do most of my own pictures, so thank you. Let me know how the pumpkin goes! I have a pumpkin sitting on the front steps of the hosue as décor. I'll try your recipe. Do you do all your own pictures - they are very good? Canned pumpking???? Never heard of such a thing! Guess it is much easier to open a tin than cut open and peel a pumking. Bet you are right though, the difference in flavours must be abysmal.